Seed Kit: condiments, salads, vegetables, beans, lettuce, medicinal, and both plastic seed peat. - Extertronic, S.L. 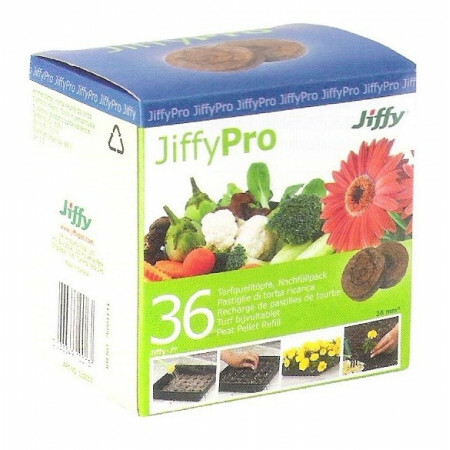 Mix / Jiffy seeds There are 29 products. 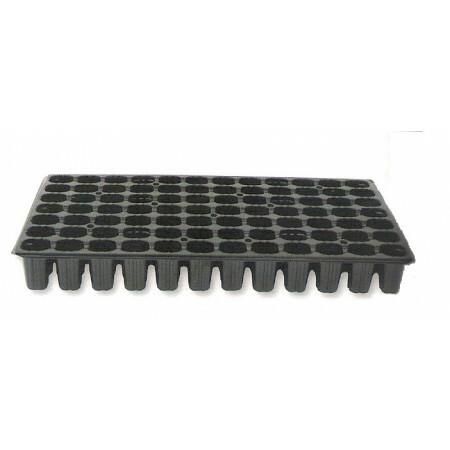 Tray of opaque black color, with transparent dome with 40 cells for efficient germination. The pack contains: 1 envelope Cocktail cherry tomato seeds, 1 packet of seeds Round red white tip radish , 1 packet of seeds Padron pepper seeds 1 envelope Strawberries four seasons. Each packet contains enough for 30 plants seeds. 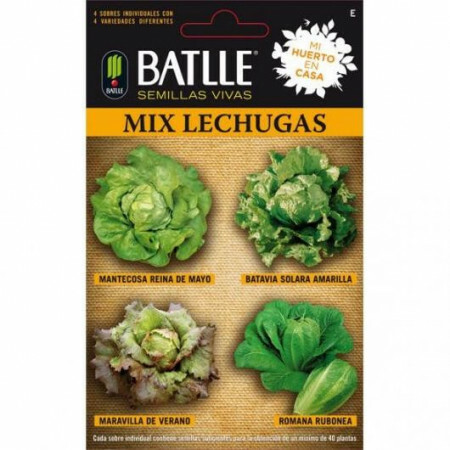 The pack contains: 1 packet of seeds Cutting green chard, 1 envelope Turnip seeds of Santiago, 1 packet of seeds Borage white flower and 1 packet of seeds Spinach butterfly. Each packet contains enough for 40 plants seeds. The pack contains: 1 packet of seeds Nassau, 1 packet of seeds Wonder piamonte, 1 packet of seeds Mantescosa Ilerda and 1 packet of seeds Superviolet. Each sachet contains enough seeds for 10 floors. The pack contains: 1 packet of seeds Pennyroyal mint, 1 packet of seeds of Thyme, 1 packet of seeds Piperita mint and 1 packet of seeds of Salvia officinalis. Each packet contains enough for 30 plants seeds. The pack contains: 1 packet of seeds Leek maxim, 1 packet of seeds Giant winter spinach, 1 packet of seeds Spaghetti squash jam endive and 1 envelope onion slug seeds . Each packet contains enough for 30 plants seeds. The pack contains: 1 packet of seeds Mantecosa May Queen, 1 packet of seeds Batavia yellow solara, 1 packet of seeds Wonder of summer and 1 packet of seeds rubonea Romana. Each packet contains enough for 40 plants seeds. The pack contains: 1 on Nantesa 5 Carrot seed, 1 packet of seeds of Medium length red white tip radish, 1 envelope Round red radish seeds and 1 envelope seeds crushed Egypt beet. Each packet contains enough for 30 plants seeds. 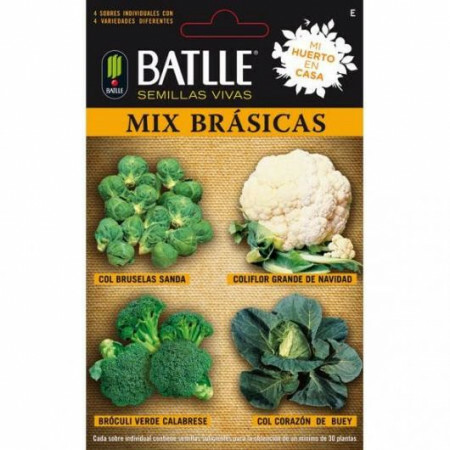 The pack contains: 1 packet of seeds Brussels sprouts Sanda, 1 packet of seeds Large Christmas Cauliflower, 1 packet of seeds Green Broccoli Calabrese and 1 packet of seeds of Col Heart Bue. Each packet contains enough for 30 plants seeds. 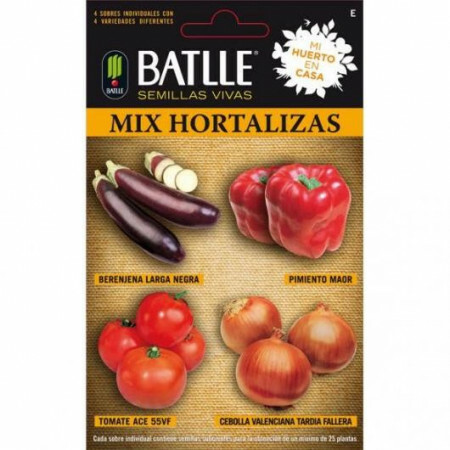 The pack contains: 1 packet of seeds Long Black Eggplant, 1 envelope Maor pepper seeds, 1 packet of tomato seeds Ace 55VF and 1 envelope onion seeds Late Valencia Fallas. 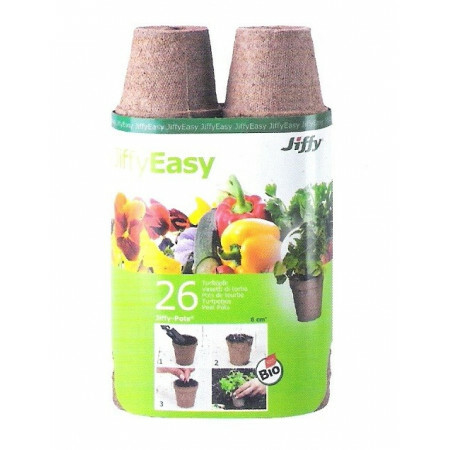 Each packet contains enough for 25 plants seeds. 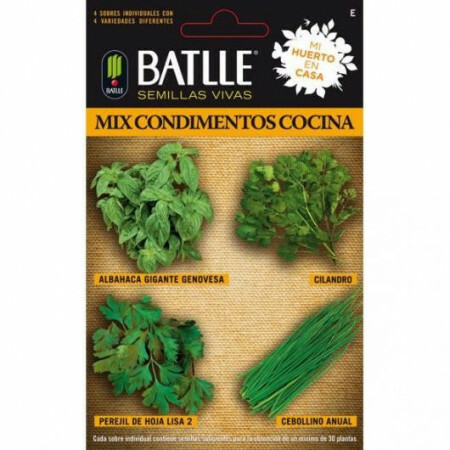 The pack contains: 1 packet of seeds Giant Basil Genovese, 1 envelope Cilantro seeds, 1 packet of seeds Lisa leaf parsley 2 and 1 packet of seeds Annual Chives. Each packet contains enough for 30 plants seeds. 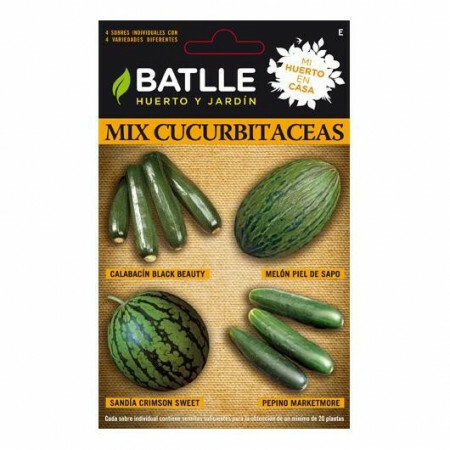 The pack contains: 1 packet of seeds Zucchini Black Beauty, 1 packet of seeds Toad Skin Melon, 1 packet of seeds Watermelon Crimson Sweet and 1 packet of seeds Cucumber Marketmore. 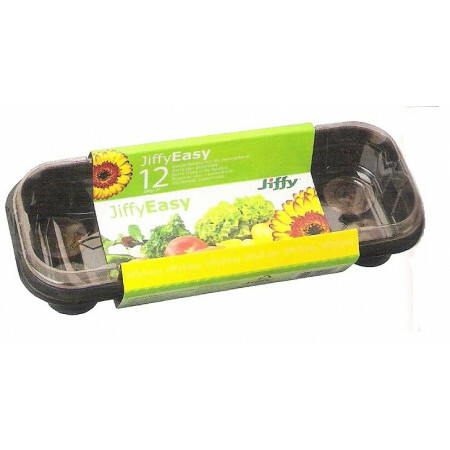 Each packet contains enough for 20 plants seeds. 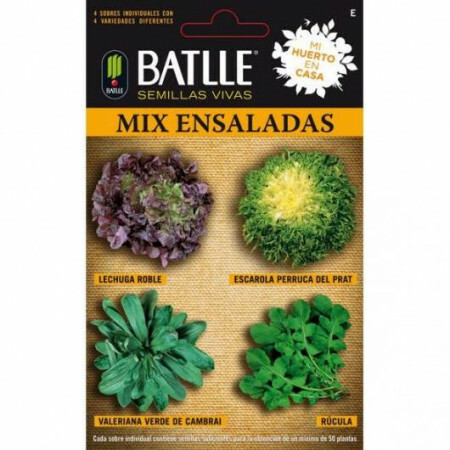 The pack contains: 1 on Oak Lettuce seeds, 1 packet of seeds Endive Perruca Prat, 1 packet of seeds Valerian Verte de Cambrai and 1 packet of seeds Arugula. Each packet contains enough for 20 plants seeds. Culture vessels for both the horticultural sector for private use. Manufactured from peat, coconut fiber, pulp and other starches biomass, so we get a 100% organic, 100% biodegradable and 100% organic. 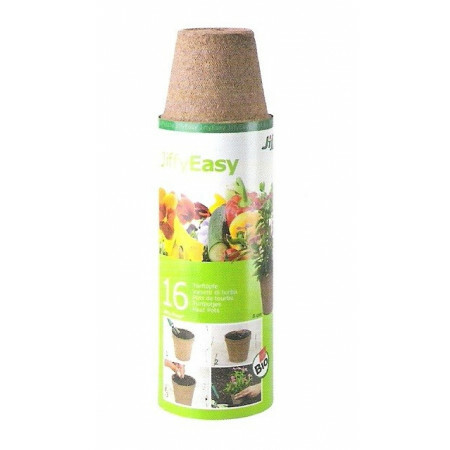 Ideal for seed germination. Clean and easy to use. No need to use the tablet substrate and acts as substrate and container. 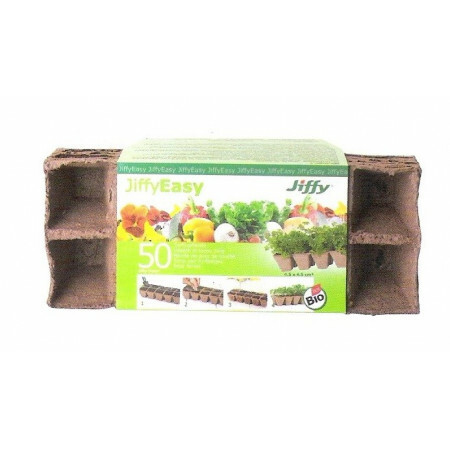 Replacement peat pellets. Ideal for seed germination. Clean and easy to use. No need to use the tablet substrate and acts as substrate and container.